Pangangan island is a small island in front of Bohol. The island is flat and characterized by sparse vegetation with some coconut trees, corn and cassava. Why Pangangan Island is special ? 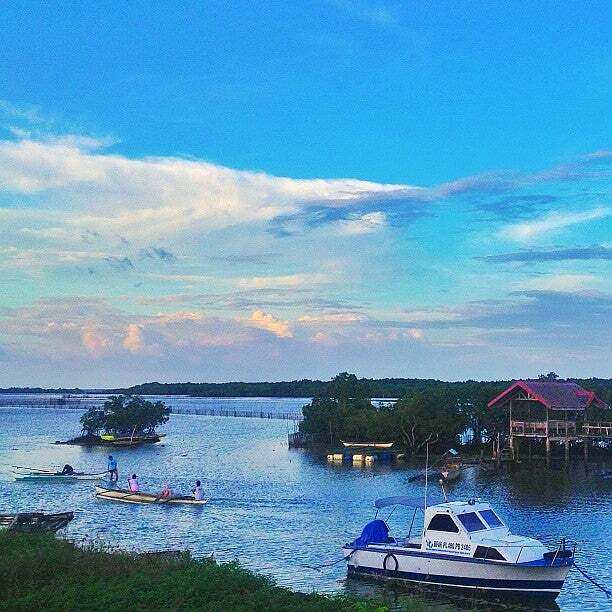 Pangangan Island is flat and characterized by sparse vegetation with some coconut trees, corn and cassava. Limestone outcrops on red sandy soil dominate most of its vacant and undeveloped areas. It practically the neighboring island of Cabilao and Sandingan and is also in their sight. Pangangan has a rocky coastline with no real beaches. Only at a few places you can find a bit of sand between the rocks. The water is also very shallow and not suited for swimming, unless you walk out all the way to the reef into deeper water. There are a hand full of small resort for tourists on the island, mostly set up for local tourists during the weekends and public holidays. The resorts will also organize some sightseeing tours for you if you wish. What to explore at Pangangan Island? The sea around Pangangan Island is ideal for a wide range of water activities. It offers excellent recreational opportunities for travelling sportsmen as well as more relaxing activities for those less inclined towards sport. Pangangan island has many unique reefs with under water drop offs up to 80m deep, the underwater world here could easily be described as a snorkelling or Diving Oasis, around the island, guests can snorkel, dive, fish, island hop or take a leisurely cruise around Calape Bay and beyond. How to get to Pangangan Island? 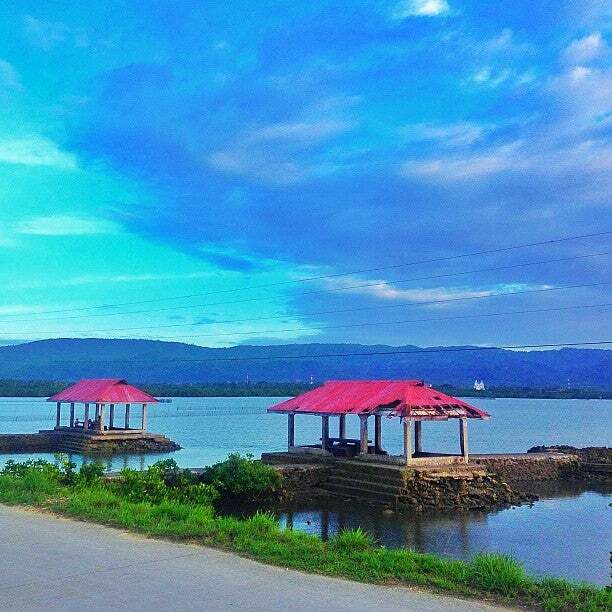 It is easily accessible by land, a 3.5-km causeway connects it to the mainland of Bohol. 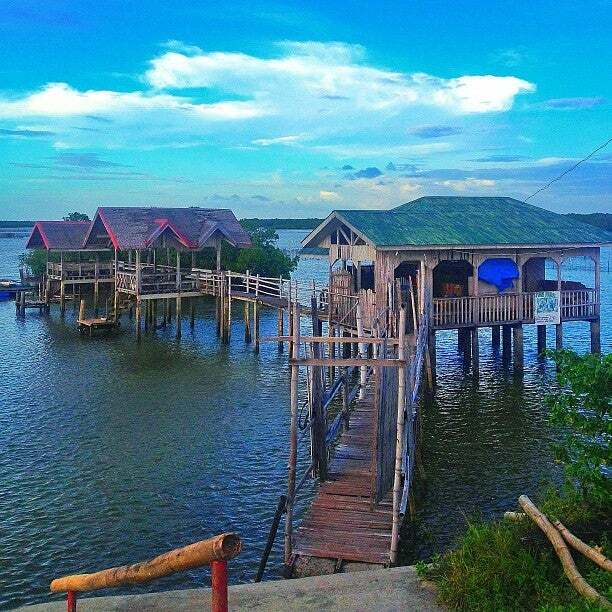 To get there, you must take the road out of Tagbilaran, about 35 km to the small town of of Calape. At the end of the town you have to turn left from the main road and follow a small road over a dam with mangroves on your left and right, for 4 km before you arrive on the island. The place is still virgin to visitors that monkeys are still shy. But if you are lucky you can see them fishing, gather shells and crabs which surely amaze you, how they do it. You should be careful with your things and food stuffs, monkeys will steal anything they suspect for food. Nearest to the area is Isle of View. Ask the resort management to guide you, rent a banca or kayak. If you are in Isle of View, the owner, Bill Temby can guide you into the mangrove forest. There are at least two sari sari stores adjacent to Isla Hayahay Resort on this island. You should check tide times on local calendars and come when the tide is high if you enjoy water-based activities. You can also walk or ride along the 3.5km historic causeway connecting the island of Pangangan to the main island of Bohol. This lovely, peaceful small island is approached by the longest causeway in Philippines not far out of Calape, Bohol Island. The causeway has been improved since the disastrous October 2013 earthquake. TA member Ed G G below is incorrect in suggesting that Isla Hayahay is the only accommodation on Pangangan Island but like he may have, I stayed at excellent Isla Hayahay run by Australian-born Scott and his lovely wife Jacqui. Locals that I met were friendly (as is mostly the case in Philippines) with tricycles available for sole use for P100 for a Calape transfer. There are at least two sari sari stores adjacent to Isla Hayahay.